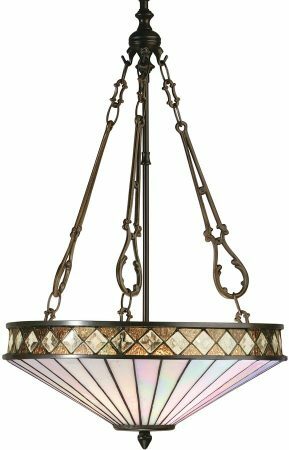 The Fargo medium inverted 3 light Art Deco style Tiffany pendant, from our hand crafted Art Deco ceiling light collection by Interiors 1900. 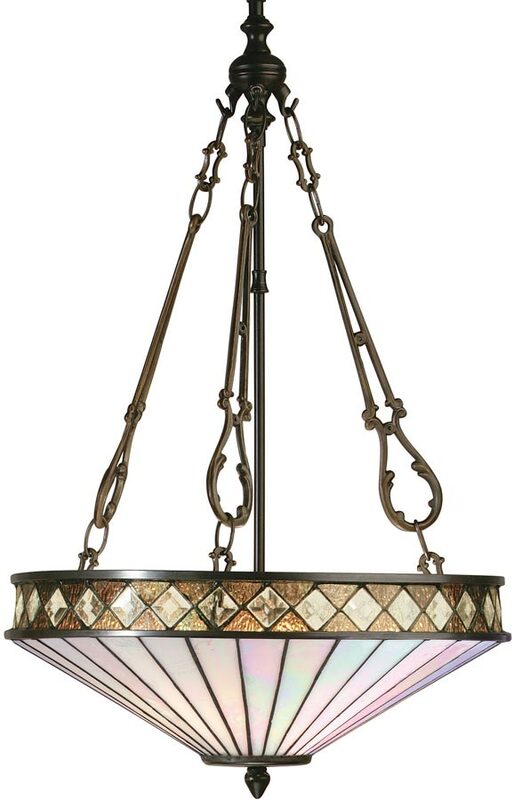 The beautiful handmade Fargo Tiffany ceiling light. A 40cm diameter Tiffany light pendant made from opaque triangular glass sections. Feature effect rim of diamond shaped clear glass with translucent rippled amber and hints of green giving almost a metallic appearance. Please note: This inverted pendant has a fixed drop of 90cm. Please ensure that you have sufficient ceiling height.